Everything seems to be heading in the right direction for FC Barcelona this season, right from transfer dealing to club performances in all possible competitions. The Catalan giants have had a fantastic 2018/19 campaign thus far and are also in contention of winning the treble once again. Barcelona’s transfer dealings over the seasons have shown the club shift in focus from producing superstars to buying superstars. A Barcelona side which was once started with all eleven players from its La Masia academy has now only a handful of players from the academy in the senior squad. In recent years large chunks of cash have been blown on signings like Neymar, Coutinho, Dembele, etc. to name a few. The Cules have also reached an agreement with Ajax Amsterdam’s Frenkie de Jong. However, he does not seem to be the only player arriving from the Dutch capital. Barcelona have also put 19-year-old defender, Matthijs de Ligt on their radar. Club President, Jose Maria Bartomeu has even confirmed that the Ajax captain is on Barcelona’s wanted list. 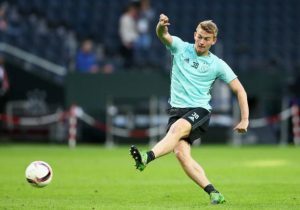 It is also understood that fellow European giants, FC Bayern Munich and Juventus are also in pursuit of the 6 ft defender. The Dutch youngster made his senior debut for Ajax at the age of 16! Just after a spell of 18 months post his debut, he was handed the captain’s armband following an injury to club captain, Joel Veltman. Transfermarkt values the player at £63 million. Here’s a short analysis of how he could fit into the squad at Barcelona. At just 19 years of age and so much already in the achievements bag, De Ligt is certainly one for the future. He has proven it on numerous and big occasions that he is a world-class defender. Very recently, de Ligt led Ajax’s back-line against Real Madrid in the UEFA Champions League and oh boy, he did it well. The teenager always seemed in control of proceedings. He showed his physical strength wherever needed. The youngster even showed the right temperament and approach required for a game of such high magnitude, which is a rare sighting at such a young age. Barcelona have already signed Frenkie de Jong from Ajax, and it will be a considerable task while renegotiating with the Dutch club’s board. Apart from that, Ajax would not allow their club captain to leave without charging a hefty fee. Barcelona, on the other hand, would not be willing to spend more than £60 million (we are guessing here) for an unfinished and raw product. At the same price bracket, Barcelona can sign far more finished and experienced defenders without running the risk of signing someone who has not yet proved his worth outside of the Netherlands. 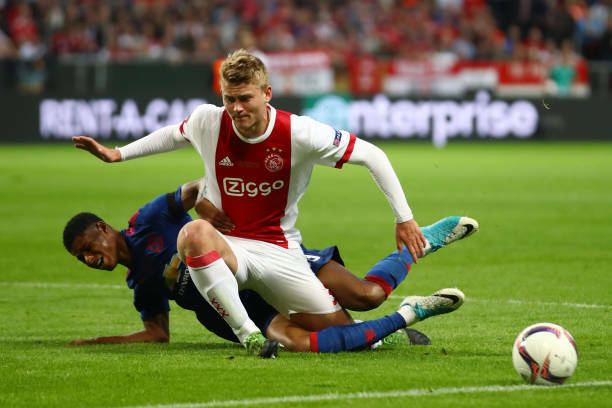 Barcelona must only hands-on head pursue a deal for Mattijs de Ligt if they can bring down the transfer fee below the £50 million mark. Anything above that would not ideally make sense on the long run as it would end up inflating the transfer market to even greater extents. Liverpool Hold Talks With Chelsea Winger’s Agent: Why Sarri Cannot Afford To Let Him Leave? Wolves Join Race To Sign Barcelona Defender: A Massive Coup For Nuno Santo? Manchester City Latest To Be Linked With 28 Y/O Spanish Winger: Should Pep Go For Him? Predicted 4-3-3 Barcelona Lineup Vs Athletic Bilbao: Can The Blaugrana Come Back With A Win From San Mames?